The PCBs used in these products were chemical mixtures made up of a variety of individual chlorinated biphenyl components, known as congeners. 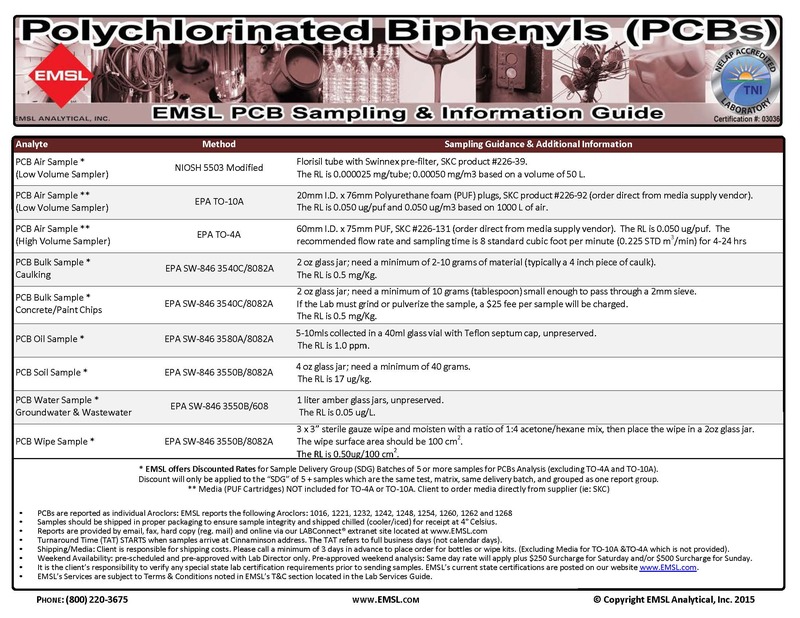 Most commercial PCB mixtures are known in the United States by their industrial trade names. The most common trade name is Aroclor. Prior to the 1979 ban, PCBs entered the environment during their manufacture and use in the United States. Today PCBs can still be released into the environment from poorly maintained hazardous waste sites that contain PCBs; illegal or improper dumping of PCB wastes; leaks or releases from electrical transformers containing PCBs; and disposal of PCB-containing consumer products into municipal or other landfills not designed to handle hazardous waste. PCBs may also be released into the environment by the burning of some wastes in municipal and industrial incinerators. Once in the environment, PCBs do not readily break down and therefore may remain for long periods of time cycling between air, water, and soil. PCBs can be carried long distances and have been found in snow and sea water in areas far away from where they were released into the environment. 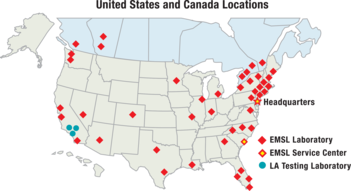 As a consequence, PCBs are found all over the world. In general, the lighter the form of PCB, the further it can be transported from the source of contamination. PCBs can accumulate in the leaves and above-ground parts of plants and food crops. They are also taken up into the bodies of small organisms and fish. As a result, people who ingest fish may be exposed to PCBs that have bioaccumulated in the fish they are ingesting. EMSL's NELAC Accredited Environmental Chemistry Laboratory is also experienced with analyzing Caulk, Paint Chip, Wipes, and Concrete Samples for PCBs.